I'd been looking forward to the Cham Pale collection at MAC for a while - all those neutral colours I love so much, however once I saw it in the flesh I wasn't as impressed. In fact, the only thing that caught my eye was this Lipgelee, priced at £12.50. It's called Sin-tillation, although rather embarrassingly I asked the sales assistant for a 'Titillation'! It's described as a sparkly pale icy pink which pretty much sums it up. There is a rather high glitter content - be warned, if you are wearing this on a date and have a little smooch before the date, your man will be covered in glitter for the rest of the evening! 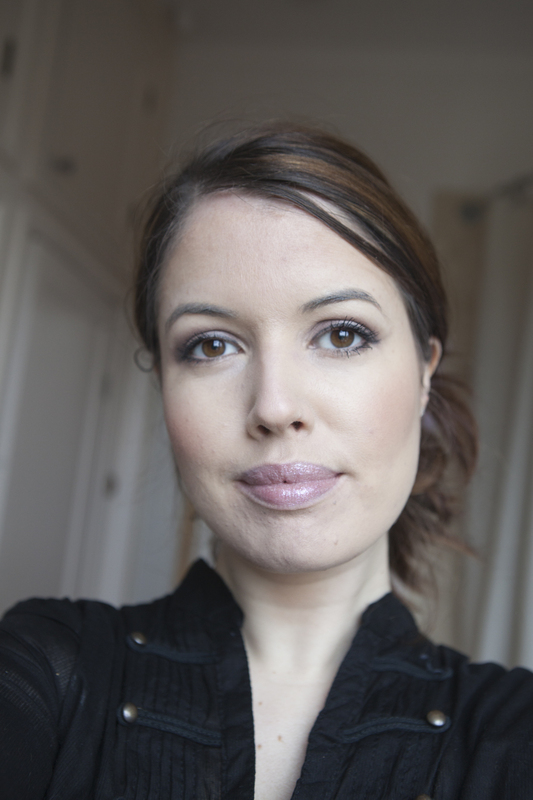 I like to wear it with a bit of a base underneath, so here I am with a thin application of Hue by MAC. When you first apply it it's very frosty looking and not to my taste at all. Almost white in colour, very glittery and icy. Here it is freshly applied. I then blotted it with tissue to remove some of the POW, giving a much softer, pretty result. 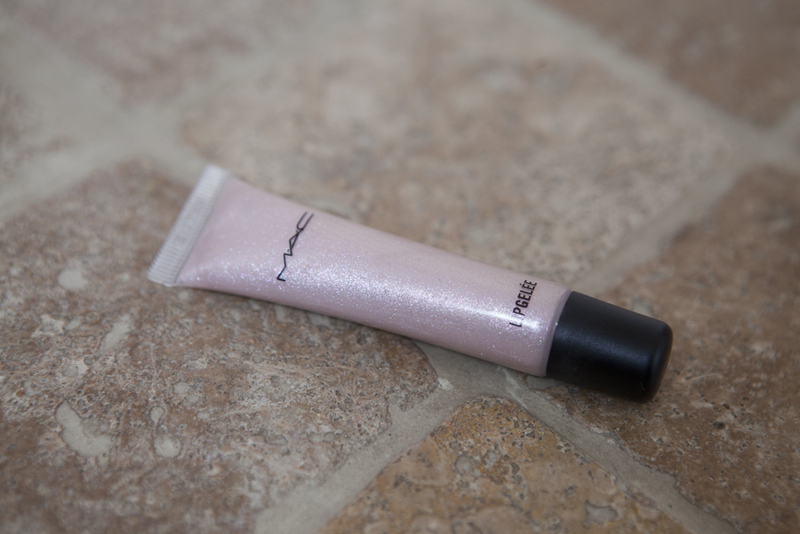 It's pale pink with shimmer, little flecks of glitter and good staying power. Do you own anything from the Cham Pale collection? Would you recommend it? I think I'd like to try the Fix+ with Lavender but other than that it wasn't really floating my boat. I'd love to hear if there were any things I missed out on though! Hey, I tried on all of those lip geleesbut had to be realistic and not get one, just to pale for me. 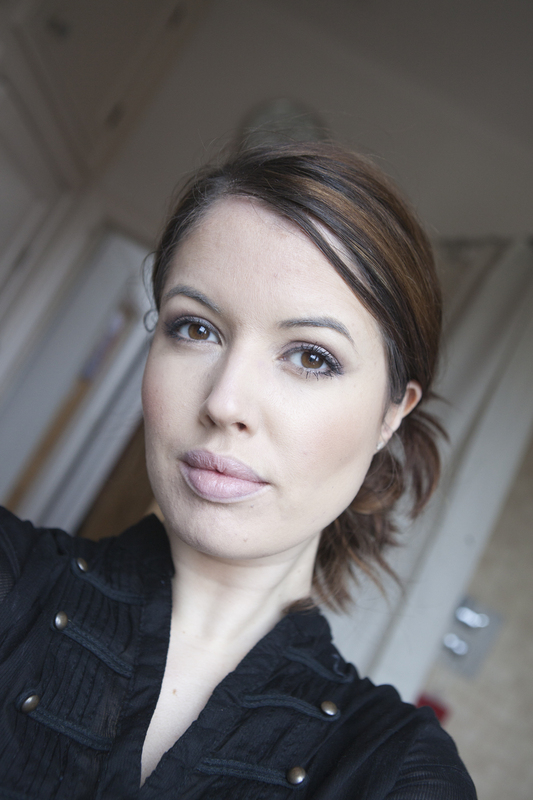 I got the Rose Ole highlighting powder which is a lovely subtle highlighter, I really love it. Especially love the way it looks, it's all swirly whirly in the pan..